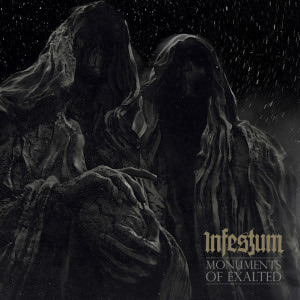 INFESTUM are the new forward-thinking torchbearers of black metal while remaining true to the original essence of the style. From Belarus, Infestum create epic and moving black metal inspired by Thorns, EMPEROR, ABORYM and BEHEMOTH, and present it with cutting edge methodology, imbibing influences of death metal and industrial harshness. The result is overwhelming if not just awe-inspiring. The grandeur of black metal meets the futuristic sounds of extreme metal. For the first time, Lacerated Enemy Records, a powerful entity for death metal music, is unleashing the magic of black metal and it couldn’t have chosen a worthier band to spread its wings.